Writing Getting too Hard to Handle? Dictation: For younger elementary ages, I have the children dictate to me whatever they are to write about. I ask appropriate questions along the way, such as, "What happened next?" "Where were they?" "What time was it?" etc. I write or type it as they dictate, and then they read it back to me (or if very young, I would read it back to them). This not only freed up their minds to think (as they didn't have to worry about penmanship), but they also enjoyed doing it, increased their vocabulary, and were proud of their finished product. I still have them physically write, but I separate the writing process from penmanship or handwriting. Requiring both at a young age will tend to frustrate both of you. Hang on, moms, it does come to pass. I have a couple of college students who are very proficient writers now but were boys with many tears in the early years. Handwriting: For penmanship/handwriting, we would copy Bible verses or complete a daily workbook page in manuscript or cursive writing. Right now, I am looking into Cursive First for my younger kids. Day One: Pick a subject and brainstorm with me some ideas, coming up with three main points. Write the opening paragraph, which includes a brief description of the three main points. Day Two: Write paragraph two, which describes main point No. 1. Day Three: Write paragraph three, which describes main point No. 2. Day Four: Write paragraph four, which describes main point No. 3. Day Five: Write the closing paragraph, wrapping up the three points above. The second week, we would take each of the five days to go over the entire essay and correct only one paragraph a day. The third week, they would rewrite the essay, focusing on getting rid of "boring" or ordinary words and replacing them with better verbs, adjectives, etc., until they ended up with a polished, finished product. This was not overwhelming and taught them the basics of essay writing, which is important as they go into higher learning environments. Contests: Another great way to inspire children to write is to give them a purpose for writing--places like local homeschooling newsletters, library poetry contests, bookstore writing contests, Internet contests, etc. Anything to get them to write with a reward attached to it seemed to inspire greatness. You will be proud of the effort, and of course they love the prizes! Other People: As the children have gotten older, it has been helpful occasionally to have them under the tutelage or requirement of other teachers (co-op writing classes, presentation days, community college classes, etc.). Take advantage of what your homeschool community has to offer. Note: I plan to use Super Charged Science for most of this, along with Exploring Creation and Anatomy and physiology Revealed. I will also use a combination of websites and free online gaming sites. Followed lastly by plants, and how we all depend upon each other. This month we are starting a 100 Acts of Kindness Project (idea from here) and we want you to join us! I got the idea from Toddler Approved and thought it was a fabulous way to spur on another on in the love of Christ. Something we should be doing everyday, but simply forget at times. I am always looking for new and creative ways to help my children grow in love, and appreciation of their talents and the uniqueness of each individual. I simple cannot wait to see how my children and I can spur each other on and see who ca actually go OVER the 100 Act. Yes, we are competitive and love to make challenges against each other, especially ones like this, were I am helping teach them the act of servitude and putting others needs before their own. What a great way to learn a valuable lesson, without ever realize that you are learning! I am giving a 100 days homework sheet with very simple fill-in-the-blanks to my kids to get things kick-started: "I wish I had 100 _______. I could eat 100 ______, but I would never eat 100 ______." My favorite one is "My Mom has told me 100 times to _______." "I caught _____ being kind! Here is what I saw." I told the kids that we were going to be "kindness detectives" and try to catch each other (along with our friends, family members, etc.) in the act of being kind. We talked about how all the little things we do for each other every day (like lending someone a pencil or helping someone pick up something they dropped, helping someone put their groceries in their car, holding a door for someone) is an act of kindness. Don't know how to get started, but desperately want to participate? 1. Deliver fresh-baked cookies to city workers. 2. Collect goods for a food bank. 3. Bring flowers to work and share them with coworkers. 4. Garden clubs can make floral arrangements for senior centers, nursing homes, hospitals, police stations, or shut-ins. 5. Adopt a student who needs a friend, checking in periodically to see how things are going. 6. Volunteer to be a tutor in a school. 7. Extend a hand to someone in need. Give your full attention and simply listen. 8. Merchants can donate a percentage of receipts for the week to a special cause. 9. Bring coworkers a special treat. 10. Students can clean classrooms for the custodian. 11. Buy a stranger a free pizza. 12. Distribute lollipops to kids. 13. Sing at a nursing home. 14. Offer a couple of hours of baby-sitting to parents. 15. Slip paper hearts that say “It’s Random Acts of Kindness Week! Have a great day!” under the windshield wipers of parked cars. 16. Have a charity day at work, with employees bringing nonperishable food items to donate. 17. Serve refreshments to customers. 18. Draw names at school or work, and have people bring a small gift or food treat for their secret pal. 19. Remember the bereaved with phone calls, cards, plants, and food. 20. Treat someone to fresh fruit. 21. Pay a compliment at least once a day. 22. Call or visit a homebound person. 23. Hand out balloons to passersby. 24. Give free sodas to motorists. 26. Transport someone who can’t drive. 27. Mow a neighbor’s grass. 28. Say something nice to everyone you meet today. 29. Send a treat to a school or day-care center. 30. Volunteer at an agency that needs help. 31. Wipe rainwater off shopping carts or hold umbrellas for shoppers on the way to their cars. 32. Give the gift of your smile. 33. Send home a note telling parents something their child did well. 34. Adopt a homeless pet from the humane society. 35. Organize a scout troop or service club to help people with packages at the mall or grocery. 36. Host special programs or speakers at libraries or bookstores. 37. Offer to answer the phone for the school secretary for ten minutes. 38. Volunteer to read to students in the classroom. 39. Write notes of appreciation and bring flowers or goodies to teachers or other important people, such as the principal, nurse, custodian, and secretary. 40. Incorporate kindness into the curriculum at area schools, day care centers, or children’s classes in faith organizations. 41. Give a hug to a friend. 42. Tell your children why you love them. 43. Write a note to your mother/father and tell them why they are special. 44. Pat someone on the back. 45. Write a thank-you note to a mentor or someone who has influenced your life in a positive way. 46. Give coffee to people on their way to work in the morning. 47. Donate time at a senior center. 49. Visit hospitals with smiles, treats, and friendly conversation for patients. 50. Stop by a nursing home, and visit a resident with no family nearby. 51. Plant flowers in your neighbor’s flower box. 52. Give another driver your parking spot. 53. Leave a treat or handmade note of thanks for a delivery person or mail carrier. 54. Give free car washes. 55. Clean graffiti from neighborhood walls and buildings. 56. Tell your boss that you think he/she does a good job. 57. Tell your employees how much you appreciate their work. 58. Let your staff leave work an hour early. 59. Have a clean-up party in the park. 60. Tell a bus or taxi driver how much you appreciate their driving. 61. Have everyone in your office draw the name of a Random Acts of Kindness buddy out of a hat and do a kind act for their buddy that day or week. 62. Give a pair of tickets to a baseball game or concert to a stranger. 63. Leave an extra big tip for the waitperson. 64. Drop off a plant, cookies, or donuts to the police or fire department. 65. Open the door for another person. 66. Pay for the meal of the person behind you in the drive-through. 67. Write a note to the boss of someone who has helped you, praising the employee. 69. Call an estranged family member. 70. Volunteer to fix up an elderly couple’s home. 71. Pay for the person behind you in the movie line. 72. Give flowers to be delivered with meal delivery programs. 73. Give toys to the children at the shelter or safe house. 74. Give friends and family kindness coupons they can redeem for kind favors. 75. Be a friend to a new student or coworker. 76. Renew an old friendship by sending a letter or small gift to someone you haven’t talked with in a long time. 77. For one week, act on every single thought of generosity that arises spontaneously in your heart, and notice what happens as a consequence. 78. Offer to return a shopping cart to the store for someone loading a car. 79. Invite someone new over for dinner. 80. Buy a roll of brightly colored stickers and give them to children you meet during the day. 81. Write a card of thanks and leave it with your tip. Be sure to be specific in your thanks. 82. Let the person behind you in the grocery store go ahead of you in line. 83. When drivers try to merge into your lane, let them in with a wave and a smile. 84. Buy cold drinks for the people next to you at a ball game. 85. Distribute kindness bookmarks that you have made. 86. Create a craft project or build a bird house with a child. 87. Give a bag of groceries to a homeless person. 88. Laugh out loud often and share your smile generously. 89. Plant a tree in your neighborhood. 90. Make a list of things to do to bring more kindness into the world, and have a friend make a list. Exchange lists and do one item per day for a month. 91. Use an instant camera to take people’s photographs at a party or community event, and give the picture to them. 92. As you go about your day, pick up trash. 93. Send a letter to some former teachers, letting them know the difference they made in your life. 94. Send a gift anonymously to a friend. 95. Organize a clothing drive for a shelter. 96. Buy books for a day care or school. 97. Slip a $20 bill to a person who you know is having financial difficulty. 98. Take an acquaintance to dinner. 99. Offer to take a friend’s child to ball practice. 100. Waive late fees for the week. Proverbs 29:15 - The rod and rebuke give wisdom, But a child left to himself brings shame to his mother. Spanking a disobedient child is God's mandate. I AM NOT SAYING BEAT YOUR CHILD IN AN UNLOVING WAY, but you should use the correct punishment for the crime. Take up your pens and prepare to write! Students between the ages of 12 and 18 are invited to submit original works of fiction that thoughtfully reflect some aspect of God’s truth, in accordance with the rules and guidelines of two separate divisions. Further details are below. If you have any questions, please contact Alicia Constant at shortstory@phc.edu. Some questions may also be answered on the Call to Pens blog. Fill out the online form to submit your entry and payment online. Manuscripts will not be returned, so don’t submit your only copy. There is a $10 fee per manuscript; two manuscripts per person are allowed. The deadline for submission is February 1, 2012. Check above for submission information. Winners will be announced in April, 2012. The exact date has not been determined yet. Submit an original, unpublished work of narrative prose fiction (an ordinary short story). No poetry, essays, novellas, etc. Use a regular font and size (e.g., 12-point Times New Roman). No handwritten entries! Please type. Number each page in the upper right hand corner. Do your own revising and editing: no one else is allowed to do this for you. Failure to comply with the rules may result in disqualification. Winning entries will thoughtfully reflect a Christian worldview, but not necessarily in an overt manner. If you have more general questions about the themes, good writing, or even the link between fiction and Christianity, please submit them to the blog! We will try to answer such questions there in more depth. Once you submit your manuscript, Patrick Henry College has the right to publish all or part of it. The college is not responsible for any manuscripts that have been lost, damaged, misdirected, etc. Entrants must be U.S. citizens and must agree to abide by the rules and accept the judges’ decisions. All profits from the contest will be given to PHC’s Annual Scholarship Fund. The grand prize winner of Olive Garden’s 16th-Annual Pasta Tales essay writing contest will receive a three-day trip to New York City that includes dinner at the Olive Garden in Times Square and a $2,500 savings bond. In addition, Olive Garden will provide a $5,000 grant to support education in the winner’s local community, which will bring his/her essay to life. The winners in each grade category will be awarded a $500 savings bond and a family dinner at their local Olive Garden restaurant. All entries must include the writer’s first and last name, complete address, phone number with area code, grade, date of birth including year and a statement that the work is his or her own. Entries must be submitted either online or postmarked by January 29, 2012 and sent to Pasta Tales, PMB 2000, 6278 N. Federal Highway, Fort Lauderdale, FL 33308-1916. Submissions will be judged based on creativity, adherence to theme, organization, grammar, punctuation and spelling by the Quill and Scroll Society of the College of Journalism and Communications at the University of Iowa, with winners selected by Olive Garden. For more information about Olive Garden’s Pasta Tales, contact Lauren Simo or Catie Jackson at (954) 776-1999 between 9 a.m. and 5 p.m. EST, or Heidi Schauer at (407) 245-5642. Click here for a printer friendly mail-in entry form, and more details including official contest rules. I decided that I needed to revamp our home school routine a bit. Both my daughter and I have been feeling a little overwhelmed. We simply cannot seem to find our flow and get things moving in a stress free type environment. I work FT out of the home so that means we school at night. My daughter wants to use a combination of unit studies and individual studies, so I am trying to incorporate both into her learning. She wants to cover one topic at a time, so it’s difficult to give her everything that she wants, so we had to come up with a compromise to school work. 1. What gives most meaning to your life? 2. What, or who, are your sources of strength in your day-to-day living? 3. When you have problems or crises, how do you manage to get through them? 4. Is religion or God important to you? If not, is there any particular reason why not? 5. Wouldn't you like to have faith in something? 1. Does God (or a Higher Power) seem personal to you? 2. Do you feel close to God? 3. What is your picture of God? 5. How is God working in your life right now? 6. Are you comfortable with God's guidelines and laws for living? 7. Do you feel there are any barriers between you and God? 8. Have you ever felt anything against God? 9. Have you ever done anything for which you feel God could not forgive you? 10. Do you understand the way to forgiveness and what it means? 11. 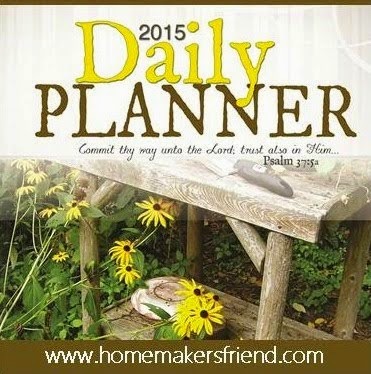 Do you feel God has a plan for your life? 12. Do you feel you are living up to what you feel God expects of you? 1. What kinds of devotional readings do you like? 2. What are your favorite authors, writings? 3. Do you like religious music? Kinds? Favorites? 5. Do you understand what you read? 6. Does Bible reading help in living? How? 7. Is prayer a meaningful part of your devotional life? 8. Do you feel you are growing spiritually? 1. Are you involved in a church? 2. Is your church helpful to you? 3. Do you attend the worship services of your church? Why Prepare a Personal Testimony? Christ, and what his life was like after salvation. As a Christian, you have a message that non-Christians need to hear. Before I came to know Christ, I lived and thought this way. How I came to know Christ. After I came to know Christ, my life changed in the following ways. testimony before read yours and give suggestions. when God brings opportunities in your life to do so (Matthew 28:19-20). Homeschool parents may be a small minority, but they've shown they can make a big difference when it comes to politics. After all, it was a passionate homeschool community that helped push a presidential candidate to a surprise victory in the Iowa caucuses four years ago. Making phone calls, knocking on doors, emailing, and persuading neighbors to get out and vote, these homeschool volunteers understood how to network to get the job done. According to Michael Farris, chairman of the Homeschool Legal Defense Association, many homeschoolers have become involved in the world of politics simply because they had no other choice. "The establishment tried to take away our freedom," he said, "and we became a political force because we had to protect ourselves." • Observe President's Day on February 18 and teach your children about voting, elections, and presidents as you read stories and make crafts relating to George Washington, Abraham Lincoln, and other famous presidents. • Use the democratic process in family decision making. Decisions about where to eat or what video to watch can involve a homeschool election ballot and voting box. • Take a field trip with your children to the polling place when you vote. Show them the polling booth and how it works. Build anticipation as you tell them, "When you're older, you'll get to do this, too!" • Educate your children with a solid understanding of the legislative, judicial, and executive branches of government, as well as the history and development of current political parties. • Stir debate around the family table and ask your children's opinions about today's tough issues. • Discuss public policies that affect your family directly and show your children how to express themselves and listen to opposing views. Let them know that it's okay to hold a different viewpoint than Dad or Mom. • Get involved in the political process. Have your children attend caucuses, primaries, and political rallies. Let them participate in phone call surveys, fundraisers, and campaign promotions for their preferred presidential candidate. • Encourage communication with current and future political leaders. Have your children write state and federal representatives with questions and comments about important issues, especially those that affect homeschooling. • Take your children to city council and state legislature meetings. Familiarize them with the process of how a bill becomes a law. • Watch campaign debates on TV, read newspaper articles, and take advantage of media coverage in regard to the voting process. Explain the power of their vote and how it should not be taken lightly. Also, teach them where and how to register to vote when they turn 18. Remember, children's attitudes toward politics are most influenced by their parents. From the time they are young, they either observe your active, positive involvement or your lack of concern and apathy. According to the U.S. Census Bureau, one third of eligible voters chose not to vote in the 2008 presidential election. Making a difference in federal, state, and local government takes people who care enough to get involved. 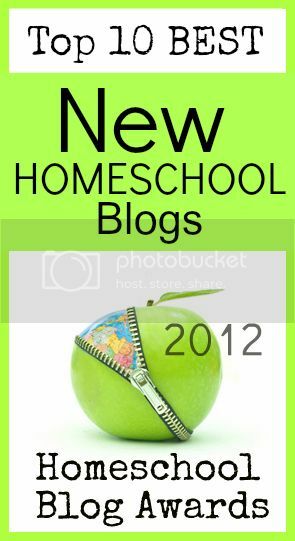 Will your homeschool family make a difference in 2012? I love taking my kids place and for New Years we went to the Science Place to check out the new Plant Shark exhibit. It was fantastic. Our tour guide was Patrick and he was incredibly knowledgeable about sharks! Not so much about how old our planet really is, since he believes it is 380 million years old! Guess he must not buy into the whole God created the heavens and the Earth and our planet is not that old, but was not there to bicker about theology. So the first thing we learned is that the way we pronounce the word "shark" is all wrong. It actually is a New Zealand/Holland lineage and the word is pronounced "Shack", (ʃɑːk) think basketball player Shaquille O Neel. There are over 350 different types of sharks such as the Tiger (think Soul Surfer movie), Whale, Blue, Bull, Goblin, Great White, Hammerhead...you get the point. There are tons of great little web site for kids to learn more about the different types of sharks and what they look like: So I won't list them all! The kids learned all about how sharks bodies are made up of cartilage except for their teeth and spines. So sharks do not fossilize and the only way they can determine the size of a shark is buy the teeth and spines left behind. A sharks size is determined by its jaw size more than anything else. Interesting little fact about sharks teeth we learned is that sharks loose there teeth every 2 weeks and a new set grows in. This happens throughout their entire life time. Most people when they think of sharks they think sharp teeth...but this is not always the case. It really depends on what type of shark you have and what they eat. Some sharks have nothing but molars for teeth. Also, the color of the sharks teeth is not determined by the type of shark it is, but the region in which it inhabits. The color is from the minerals that are local to that region. So a sharks habitat that is mainly limestone would have different color teeth from a place were its mainly jasper, talc or rhodonite. Plus, some sharks move their teeth up and down and some move them like saw blades back and forth. The Tiger shark for instance is the type of shark that attacked the girl from soul surfer movie and he uses a back and forth movement. Sharks have this wonderful thing called Electroreception this is were sharks pick up on electricity from prey within a 3ft range from their nose! This is an awesome little sense and also cost the government billions of dollars back when submarines were being tested. The government thought that the Russians had invested a new weapon because the submarines they docked had these circular holes all over them. It took a team of scientist to figure out it was the cookiecutter shark was taking bites out of submarines. Apparently since the outside of subs use to be styrofoam and the shark picked it its electricity it thought it was food and kept taking bites out of it. Pretty funny actually. I love hands on experiments and nothing beats getting to open up a dogfish shark and takes its guts out to peer inside. That's exactly what we got to do with a dogfish shark! Oh yea, it was as cool as it sounds. I attached the link to several different sites that allow you to watch or give you instruction on how to dissect a dogfish. Shark attackAttacks by sharks are extremely rare and should be put in context. The dangers that we confront each and every day of our lives from driving to work, to playing sport are far greater. There are many theories and ideas about why Great White sharks attack humans and whether it is deliberate or a case of mistaken identity. Today scientists and researchers remain divided. What we do know is that humans have not featured in the diet of Great whites until relatively recently when we began to enter the water. We also know that we give off similar signals to prey types that Great Whites target such as whales, dolphins and seals. It is therefore reasonable to assume that they attack humans because they recognize us as food. Avoid entering the water at night and particularly at dawn and dusk. Many of the more dangerous sharks are actively feeding at these times. They can see and sense you long before you can see them. Sharks usually attack lone individuals. Avoid entering the water if you are bleeding. Sharks have an acute sense of smell and can quickly find the source of even minute amounts of blood in the water. Avoid entering the water where people are fishing or have been fishing recently. Or where other animals are hunting for fish. Diving sea birds are a good indicator that other animals may be fishing in the area. Avoid entering the water if sharks are present. Also leave immediately if sharks are seen. Move swiftly but calmly as sharks are attracted to splashing. It the shark is already swimming at you move as fast as you can to safety. Avoid splashing a lot or swimming with pets. Erratic movements and the quick movements of animals like dogs can attract sharks. Avoid wearing shiny jewelery while swimming. Jewelery can reflect the light and look like fish scales or a small school of fish in the water. Be vigilant around the edges of sandbars or steep drop-offs. These are frequently visited by sharks. Don't think that you are safe because dolphins are present - this is a myth. Sharks are often found in the presence of whales and dolphins as they eat the same foods. If attacked by a shark do whatever it takes to get away. Be aggressive rather than passive. Yell and scream to attract rescuers and fight the shark off by attacking its most vulnerable areas - its gills and eyes.